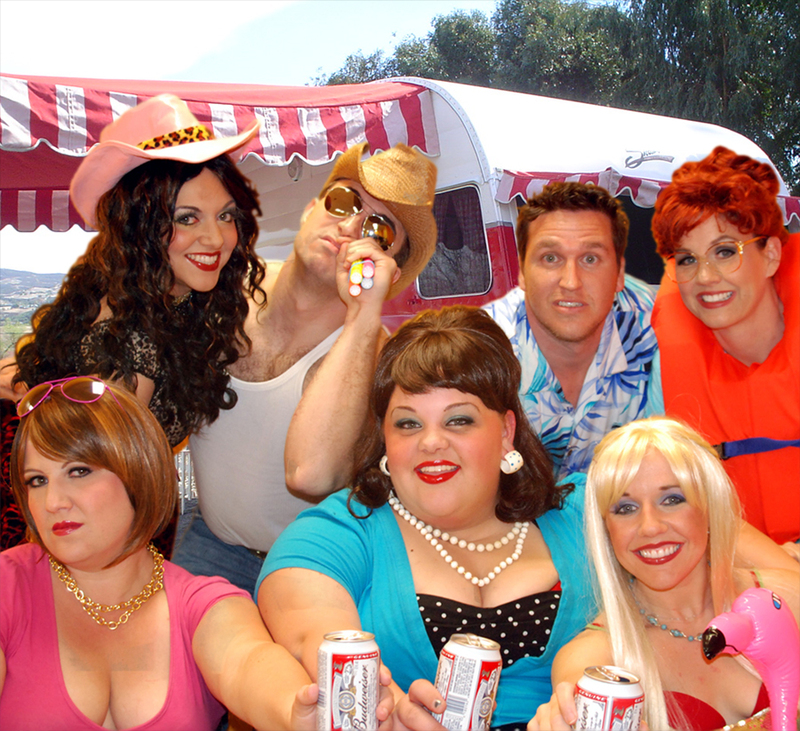 This entry was posted in Fringe festivals, Orlando theater, Reviews, Theater festivals, Uncategorized and tagged great american trailer park musical, orlando international fringe theatre festival, theatreworks florida. Bookmark the permalink. I was there Saturday night and personally you were probably the only one in the minority because the theater critic from the Orlando Sentinel loved the play, and so did I and by the sound of the applause and the standing ovation the audience loved it as well. So you probably should slit your wrists so that no one else has to read your obviously vindictive blog again. The show is fun and the acting and singing is phenomenal. The cast, crew and Director did a fabulous job; it’s just a pity that you were the only one in the theater that couldn’t see the determination and sheer talent that is The Great American Trailer Park Musical! Thank you for your comments and support, Mr. DeMott. Clearly, the audience knows a good production when they see one. I was one of the Saturday night audience members and I couldn’t disagree with you more. I have seen other versions of The Great American Trailer Park Musical and this is by far, is the best production to date. The actors brought you into their world from the very start, each character was well-developed and believable and their comedic timing was spot on. This is a powerhouse cast with incredible voices. I wasn’t expecting this caliber of talent and applaud the director for casting such talented people. If the sound and speech were so bad, how was it that the audience members were able to laugh at the song lyrics and understand the jokes? I felt the staging and choreography were fluid, the set was appealing and the band/orchestration was terrific. Mr Cook and his creative team have brought a first rate production to Orlando and I urge everyone to come out to see this AMAZING production. Thank you for your comments and support, Mr. Gonzales. I saw the show over the weekend as well. The sound and band were way too loud. . and I mentioned this to one of the cast members afterwards. Maupin is correct here. Overall, I did like the show and thought the cast and set were impressive, esp considering some of the other things I’ve seen at Fringe this year. I don’t think the review is vindictive, just an opinion. If this is a minority, unfortunately it is one that I too also belong. Couple of things here, folks. I saw the show and loved it, as well. But, Betsey is entitled to her opinion as both an audience member AND a critic. The personal attack on her in the above comment by Mr. De Mott is out of line. When you produce/direct/act in a show, you know that once you release it into the universe, everybody gets to take it in and judge it according to their likes and dislikes. I, for one, do believe in engaging the critic in conversation or cyber-conversation that is respectful regarding the review whether you are a member of the creative team behind the show or not. But personal attacks on a critic are over the line. Thanks, Paul and Kenny. I thought that ‘Trailer Park’ fans reading this review might have understood the concept of hyperbole. Thanks Mr. DeMott you just saved me $10! There is no place for this in any artistic discussion. The poster’s comment far exceeded any harshness the phrase may have had in the original review. I know many in this show, and I know peripherally Mr. Cook. I wish you the best for an amazing run with this show, and I also pray you do NOT support this sort of attack. While the original comment may indeed have stung (as we have all been stung by notices in the past by any number of journalists), the reaction was inappropriate, out of line, and malicously over the edge. Like it or not, we all have the right to our opinions. It’s just sad that Mike DeMott stooped to crown himself, King Kevorkian, Administrator of Assisted Journalistic Suicide. Unfortunately for him and the producer, a blindly grateful Scott Cook, this sort of retort may have only facilitated the show’s and their own credibility’s demise. Maybe they can title their next production, “A Shot in the Foot”. Did we learn NOTHING from the great “Orlando Weekly/Jekyll & Hyde” debacle of 2009?? I agree that the show was overamplified and lyrics were difficult to understand at times, but still a lot of fun, with some phenomenal voices. As a representative of the Fringe Festival this year, in my own way, I have to say that there is NO place for this type of negativity Mr. DeMott. I have found the unity and support of all of the artists in this festival, some of which I know, and others I have met for the first time, so very welcoming and warm. That is what this time is about, that is what our community here in Orlando is about, and comments like yours are not welcome. Of course you can disagree, just as Ms. Maupin disagreed with the majority, but disagreeing in a respectful way can go so much further in terms of discussions and broadening of all of our artistic outlooks. Thank you for your insight and taking the time to share your thoughts. I only meant to use the word “support” in light of enjoying the show – not for attacking Elizabeth. I do not support attacks of ANY KIND in ANY forum. I am appreciative to Elizabeth for taking the time to see the show and in helping me to recognize our sound issues. To those who misunderstood my post – my sincere apologies go out to you. May all involved in Fringe 2010, artists and audiences, continue to enjoy a wonderful experience. Thanks, Scott. Of course every show isn’t for everybody, and I’m glad you all have big, enthusiastic audiences. I hope the Fringe is a good experience for all of you. You are very welcome, Elizabeth. Thank you for being out there supporting us and letting our community know the Arts are alive and thriving.! If that’s your opinion, why hide behind hyperbole? It’s like you were looking for a reaction with that comment about slitting your wrists. Well, whether that was your intent or not, you certainly got some reactions. Yes, you’re entitled to your opinion. However, when you make an inflammatory remark like that, don’t be surprised or offended when people reaction in a negative fashion. Maybe you were joking, but please remember that not everyone knows you personally or gets that type of humor. While I appreciated your other criticisms of the show, I felt like your hyperbole was a potshot in bad taste. I’ve been reading you for a long while now. Honestly, I think you’re above such things as that kind of comment on a show. Derek I always find it fun that you enter a conversation after it has sort of found its fruition and come in completely contrariwise to everyone else. And you are not even here! Ha! The point is Derek, the remark would make anyone in a show smart a bit, however it is always the response and the graciousness of such that makes a good artistic conversation and elevates our art and our community. Instead of Mr. DeMott coming in with a meat cleaver, he could have simply said “Ouch! Was that phrase really necessary” and the entire conversation would have taken on a different tone allowing Elizabeth a means of discussing. Intead, she and the readership was faced with “So you probably should slit your wrists so that no one else has to read your obviously vindictive blog again.” – a sentence that has no place in direct or indirect human interaction unless you are Jerry Springer or Glen Beck. No one is saying he had to like the original comment, but the reaction was purposefully malicious and full of contempt. That is the part that has no place in any discussion. As I mentioned, the original comment would certainly pinch at any one in a show receiving it, however, anyone who did not understand the context of it or get the hyperbole of it would really need to rethink their level of understanding. Mr. Cook has graciously put an end to a lot of the above (as I knew he would, he is a good man and a good producer/director). Elizabeth has also put an end to it. And that is where it truly belongs. In fact, it should have never occurred in the first place. Love you man and hope you are well. I’ll respectfully disagree with the review, although I definitely want to distance myself from the first commenter — Ms. Maupin has a right to her opinion without being subjected to that kind of vitriol. Regarding the articulation, I’m not going to deny that I had trouble making out some things, but I don’t think I can attribute that to the actors. The venue itself is just bad for sound, and I had the same troubles at times during Debbie Does Dallas. The mics occasional distorting also swallowed some of the other consonants. Still, though, I could hear most everything. Regarding the quality of the acting, I’ll definitely disagree — I thought all of the performers were extremely solid and on top of their game. But, I don’t want to start another circus of angry “how dare you write this” comments, so I’ll please ask people not to piggyback on my post with any type of hateful or “ad hominem” comments towards the reviewer — I just wanted to throw in my two cents politely :). LOL! Thank you, John. You always make me smile. It’s been my experience that you get what you give. You know, the old piano expression about you get what you out into it and all that. Seems that’s what happend for both parties in this instance. I love Fringe. Wish I could be there. You know it’s an awesome festval when I’m commenting on a review from only one of its shows from Massachusetts. LOl! Mr. Cook, I wish to express my earnest and heartfelt “Thanks” for your work with TGATPM. Seeing your beautifully cast, vibrantly enlivened, spectacular production cause a personal paradigm shift. TGATPM was an experience. I have enjoyed every opportunity to see your fabulous production and hope to fill 10 more seats this weekend. Your experience and divine gift shine through in TGATPM; awakening the audience artistically/imaginatively; a 90-minute rebirth for the seasoned theatergoers, a baptism into theater for the ingénue and HOPE for the rest of us! Art is more than season tickets, reserved seating and critic reviews. Your magnificent production reminded me of MY personal charge to “keep the arts alive”. To respect, embrace difference of palate and desire, to seek out that which is not familiar and find the beauty in it and celebrate theater! In our MTV, gone Flavor of Love, gone 3 minute video turned movie existence, we have diluted our precious sense of theatrical value and worth, lost the art of imagination and cheapened artistic expression; forgetting the beauty and majesty of fervent expression of humanity, even when “they’re a little loud” (smile). We are fortunate in Central Florida to have Fringe Festival. Enjoying every opportunity to face, escape and rejoice in the human provision! Bravo, Sir! Bravo! I enjoy the each characters played by the actors. TGATPM made my fringe experience as memorable one with the other two shows I enjoyed in 2010. I cherish the meaning of this show in my daily life. Ms. Maupin misses the value of the message in this show destructed from her perspective and experience creating the degrading evaluation.